Vancouver International Airport experienced an extremely busy final few weeks of December last year, pushing the airport’s total number of passengers throughout 2018 to a staggering record of 25,936,907. That is nearly a million more passengers within a two week span, considering airport officials celebrated the 25-millionth passenger on December 18. The year’s entire total is nearly 1.8 million more passengers than the previous record attained in 2017 of 24,166,122 passengers — an increase of 7.3%. The total number of aircraft movements rose from 289,371 in 2017 and 295,870, representing a 2.2% increase over 2017. Of this number, 157,320 were jets, which was up by 3% compared to the previous year. In 2015, YVR announced its target of reaching 25 million passengers per year by 2020, but not only has it exceeded that target much earlier than anticipated. New highly competitive measures were implemented to attract new airlines and routes, and to put it simply: it worked. 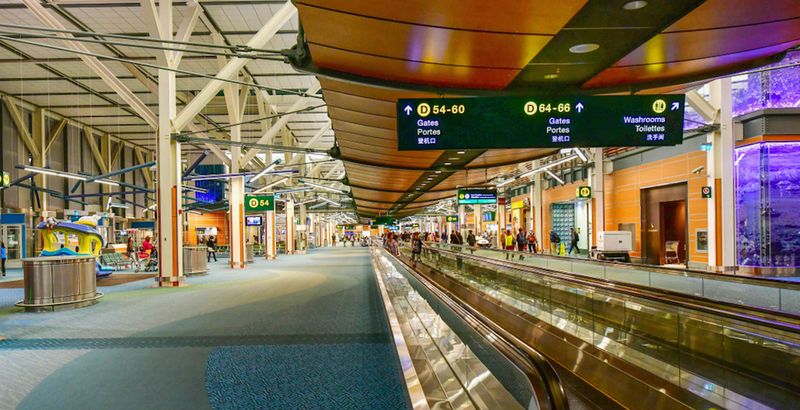 On the current trajectory, YVR is now forecast to see 31 million passengers per year by 2022 — reaching the same levels that were experienced by the much larger Toronto Pearson International Airport in 2011. To accommodate all the new growth, earlier this year, the airport embarked on a $9.1-billion expansion that will expand the airport’s capacity significantly over a 20-year timeline. March 15, 2015: Manila, Philippines and New York City, USA – Philippine Airlines adds four weekly flights to its route from Manila to NYC, with a stop in Vancouver. June 26, 2015: Kunming, China – China Eastern Airlines begins three times weekly flight service via Shanghai. June 6, 2019: Reykjavík, Iceland – WOW air to start six times weekly service.